1) The top value (319 mph) is far more useful than "more than 200 mph." It is apparently quite accurate, at least based on what now we know. Might there be a peak gust of 325 somewhere? Sure. But, 319 as a top value seems close. People doing a database search would be free do an "estimate-only" search and it would appear nothing has changed. Consistency would be preserved. Building designers could do a search by wind speed and retrieve much more precise information. 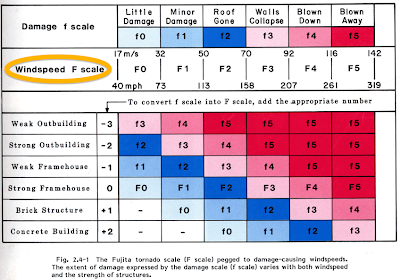 3) So much work was done with the original Fujita scale (Tom Grazulis "Significant Tornadoes", and others) we would not have to go back and re-rate the tornadoes prior to 2007 to accommodate changes in EF or some third index. It seems to me this has huge advantages and no downside. 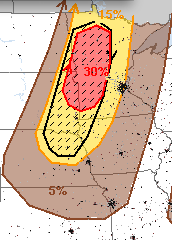 And, there is a very large hail risk (hatched). Fifteen percent is the significant threshold for l" hail; hatched is 2" or larger. Before reading this, it would be helpful to read the posting below. I had a reader contact me via Facebook and (paraphrasing) express concern that I was making too much of this because there are no nuclear power plants planned in tornado alley in the near future. That may be true, I didn't research it. But, future nuclear power plants are not the only critical infrastructure affected by extreme winds. Bridges over major rivers (Missouri, Mississippi, etc.). The Eads Bridge over the Mississippi was destroyed by the violent F-5 1896 tornado in St. Louis. What if an interstate highway crossing was destroyed today? The disruption would be enormous. The National Bio- and Agri- Defense Lab proposed at Kansas State University. The goal of this institution is to find ways to protect the world's food supply from terrorism and natural threats. As such, they will have what I would call "weaponized organisms" that could wreak havoc if they escaped containment. I'm all in favor of the facility provided it is designed to withstand the strongest tornadoes. Plus, the existing nuclear power plants must be hardened to the known top winds of the most violent tornadoes. In the 1990's, a tornado struck the Bessie-Davis nuclear power plant putting it on "alert" level. The plant lost communications with the outside world. By downgrading the El Reno tornado with its (measured by multiple portable radars with 290 mph winds) because it didn't hit anything at the time the winds were measured could mislead engineers as to the likelihood of extreme winds. A mobile Doppler radar measured 318 mph winds in the 1999 Moore tornado. Downgrading the El Reno storm could -- to a non-meteorologist unaware of this controversy two years from now -- lead one to think the 318 mph was an extreme outlier that can be discarded. 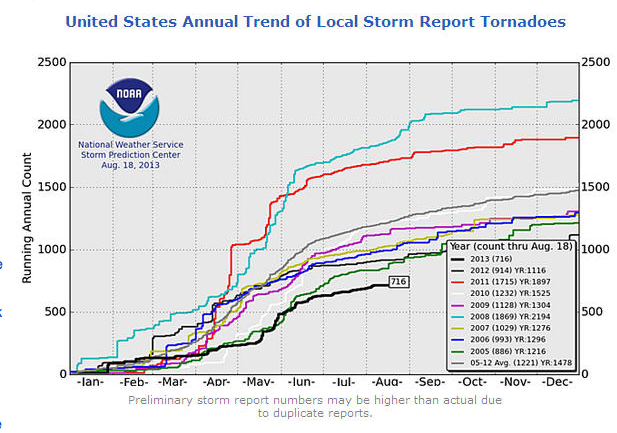 Obviously, in view of the peak 294 mph measured in El Reno, the 318 is not an outlier. The strongest 1% of tornadoes produce extreme winds. To a building designer what, exactly, does "over 200 mph" (the top of the EF-Scale) mean? What number does he/she pick? If you lived near one of these facilities would you want it designed for "over 200mph"or 318 mph? I know which I would pick. 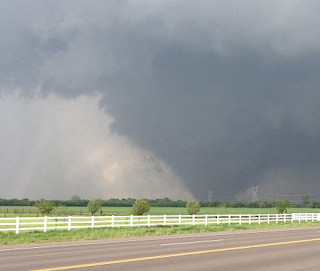 The National Weather Service has downgraded the EF-5 El Reno Tornado of May 31 to EF-3. The ostensible reason is because (along a very sparsely populated path) the worst damage was EF-3 (138 to 167 mph). It was upgraded to EF-5 because of a close-up mobile radar reading of 290 mph winds. The NWS wants to "honor the intent" of the EF scale (according to one NWS meteorologist), thus the downgrade. I believe this is a poor, and dangerous, decision. 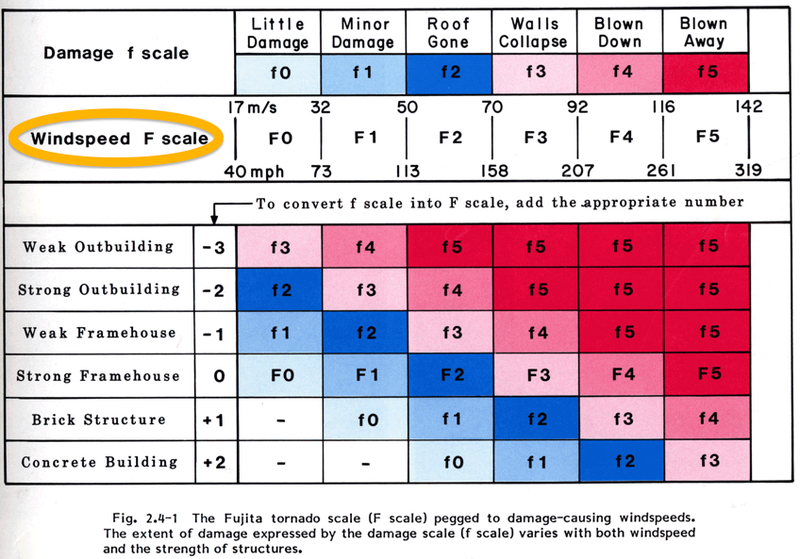 Some background, the 'Enhanced' Fujita Scale replaced the original Fujita tornado intensity scale for NWS purposes in 2007. It differs from the original by lowering the wind speeds for strong tornadoes. F-5 was 261 to 319 mph. EF-5 is 200 mph or greater. have circled the wind speed, as opposed to damage, scale. Unfortunately, this is not academic. If a nuclear power plant, for example, is built in the tornado belt, it needs to be about to withstand 300+mph gusts (worst case scenario). By intentionally putting the El Reno tornado into the database weaker than it really was, it could mislead non-meteorologists (i.e., architects and building engineers) into under-designing buildings. For example, this FEMA design document references only the EF-scale. Given its better grasp of tornado's upper-end wind speeds and that using the best data is an impediment to the EF-Scale, I believe we need to go back to the original F-Scale. 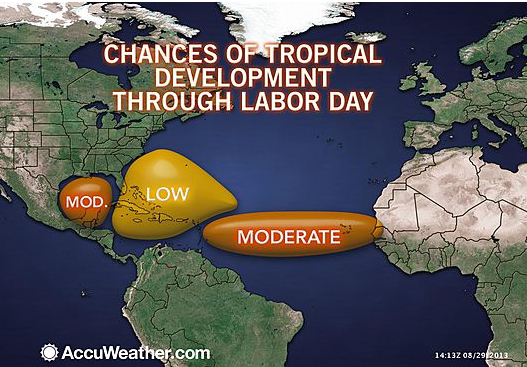 More information from AccuWeather is here. 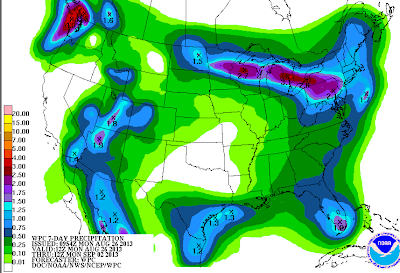 This uncommon: Significant rainfall forecast in all 50 states over the next five days. You can click to enlarge each map. I believe, as does our team at AccuWeather, that there are signs the tropics, which have been unusually quiet so far this year, may start allowing storms to develop. Details from AccuWeather here. What Do Hurricane Katrina and the Moore Tornado Have in Common? Yes, they were both "cyclones" (low pressure systems). Yes, they were both windstorms. But, there is something they have in common that might, if not managed properly, cause mass casualties in the future: Terrible traffic jams when a second storm days later. Many believe an unforecast major hurricane striking New Orleans followed by flooding the city would result in a five-figure death toll. When it comes to Katrina, people remember the seemingly shocking death toll and the flooding of New Orleans rather than the excellent forecasts, the successful evacuations, and the thousands of lives saved. The extensive media coverage of the plight of the Katrina survivors caused people in the region to "get religion" about hurricanes. 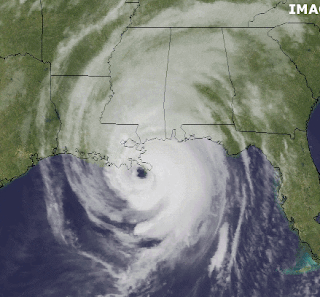 Hurricane Rita left this question: If a successful emergency evacuation involves 100-mile highway backups, motorists running out of gas and water, widespread road rage and the death of 23 seniors in a freak bus accident, what would a failure look like? If too few people evacuated for Hurricane Katrina, too many evacuated for Rita. Prompted by officials' broad, forceful orders and memories of how Katrina flooded New Orleans last month, nearly 3 million Texans fled on Wednesday, Thursday and Friday. The difference was purely psychological: With the Katrina catastrophe fresh in peoples' minds, more evacuated than meteorologically necessary in Texas. Officials were caught off-guard. On May 20, Moore was devastated by an F-5 tornado that killed 23. The tornado was televised live on television and the dramatic impact was heightened by two Oklahoma City television stations showing helicopter shots of devastated schools without knowing the fate of children and teachers inside. Eleven days later, another F-5 tornado occurred south of El Reno -- about twenty miles from Moore -- in a sparsely populated area. All of the eight people killed were in vehicles. If that wasn't horrible enough, literally thousands took to the highways from densely populated Yukon and south Oklahoma City just to the east of the El Reno storm. Why? In central Oklahoma, there are almost no underground shelters and media meteorologists were correctly explaining this was a violent tornado and people were safer underground (the same advice the NWS gives in those situations). So, like in Rita, people both in and outside the areas threatened took to the highways clogging interstates 35, 40, 44, and 240. Officials were caught off-guard. Had the tornado continued east, those thousands would have been sitting ducks. 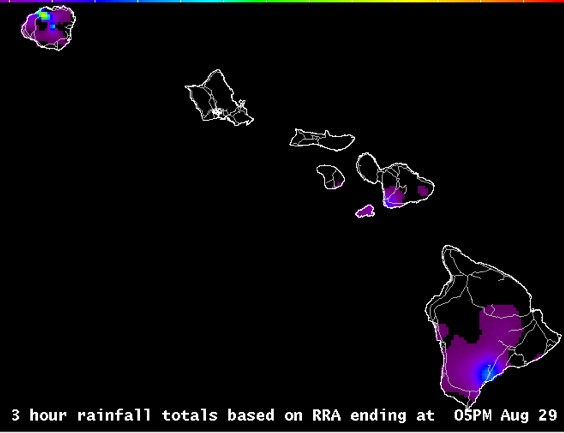 These incidents explain why social science is an increasingly important aspect of the storm warning problem. In all four cases, there were accurate storm warnings with plenty of advance notice. Yet, people made decisions based on emotions rather than the official advice. So, I have some suggestions. Storm warnings these days are quite accurate. I recommend taking the warnings and the corresponding advice seriously. There is no reason to believe the warnings for a second storm, a short interval after a major disaster, will be more or less accurate than usual. Do lot be ruled by emotions. I do not recommend taking to the highway to escape a tornado threat unless it is a "particularly dangerous situation" tornado watch and you were willing to drive (perhaps for hours) out of the watch when it is issued and well before thunderstorms even form. Too many politicians and even some meteorologists believe longer advance notice of storms (known as more "lead time") is some sort of holy grail. While I disagree, regardless of who is correct on this issue, if meteorologists give people an hour or more advance notice of a tornado in an area containing few or no shelters, residents will understandably try to get out of the storm's path. 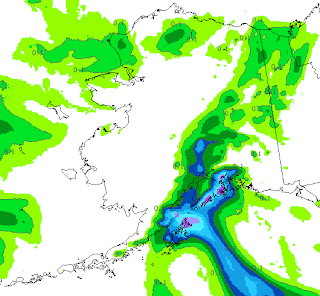 And, the numbers will be exaggerated if another major storm has occurred in the recent past. Emergency managers work with politicians and meteorologists to create contingency plans for things we hope will never occur. It is probably time for EM's in both the tornado and hurricane belts to draw up plans that contemplate extraordinary numbers of people spontaneously deciding to get on the road. 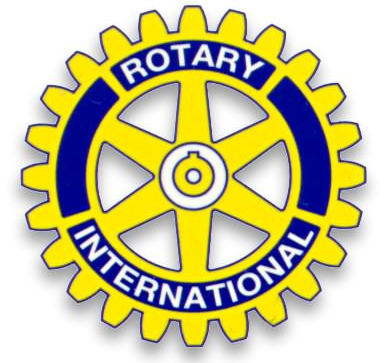 Looking forward to speaking to Rotary13, the Rotary Club of downtown Kansas City, at lunch tomorrow. More information is available here. 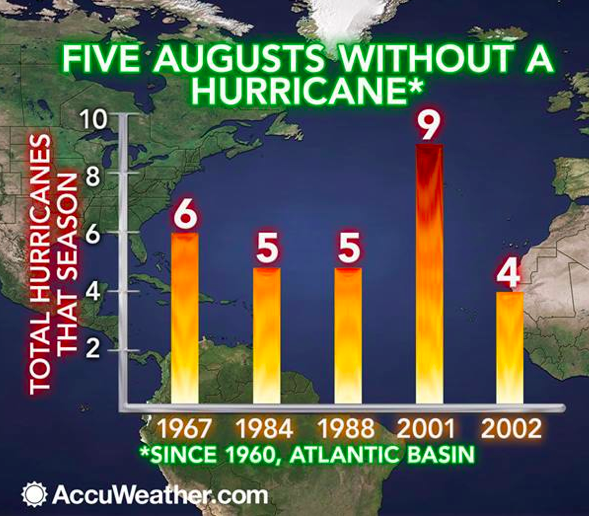 We will end the month of August without a hurricane occurring in the Atlantic basin for only the 25th time in the last 161 years. The U.S. continues, each day, to lengthen its record-breaking interval without a Category 3 or stronger hurricane visiting our shores. The old record was set more than 110 years ago. index of tropical storm and hurricane combined number and intensity. 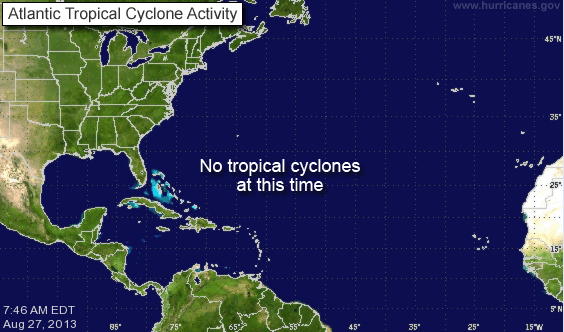 Right now, there are no signs of a hurricane developing in the Atlantic. But, it is almost inevitable one or more will occur before the hurricane season ends. Perhaps there will be a destructive storm. That is the normal course of nature. In the meantime, enjoy the last few days of this mild summer. Today's climate: What's not to like? For your inspiring message fifty years ago today. Yesterday, I wrote about today's teleconference by the Big Environment advocacy group the National Resources Defense Council and predicted news organizations would fall for exaggerating the effects of global warming. Meaning, they would not independently check the credentials of those giving the information, the data or the claims. Bingo! While I credit the newspaper for identifying the source, they simply bought the advocacy group's figures from the press release. Tomorrow, there will be a teleconference organized by a Big Environment group to tell us about last year's drought and crop losses and -- undoubtedly -- try to tie them to global warming. It is appears to be an example of how Big Environment attempts to manage the news to make global warming seem worse than it actually is. Here is the newspaper's coverage. Note the word "promises." 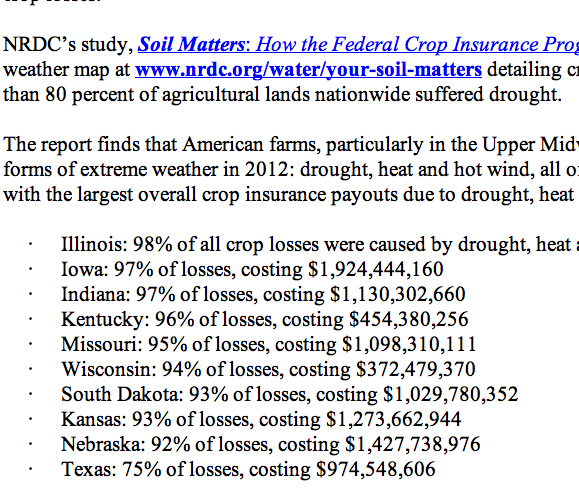 There is no evidence that droughts, floods, tornadoes, or hurricanes are getting worse. That is not just my opinion, that is the official position of the United Nations' pro-global warming Intergovernmental Panel on Climate Change in their December, 2012, report. The newspaper doesn't even bother to balance global warming gloom and doom article with a pro-global warming source! Finally, as predicted, the expert quoted is an attorney not a scientist. She is admitted to the bar in California according to the NRDC web site. While everyone is entitled to their opinion about global warming, the above is precisely what I predicted: That scientifically questionable statements would be made by an advocacy group and media would uncritically print them. Mike was honored at the Wichita BOE meeting last night for his generous donation of his book WARNINGS: The True Story of How Science Tamed the Weather to the Wichita Public School System. Because of Mike, every 6th grade teacher in the district will receive a book to use when teaching students about the weather. Mike also presented each board member and the superintendent with a copy of his book. You can clearly hear the sound of the tornado and the debris from inside the shelter. 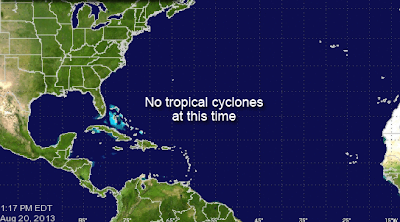 Good news: We are at the peak of the hurricane season and there is nothing out there. In fact, we haven't seen a single Atlantic hurricane so far this year. Let's hope it continues. 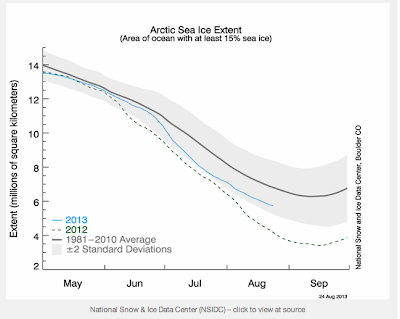 You can see how much more ice there is now (blue line) than there was in 2012 (dashed gray line). 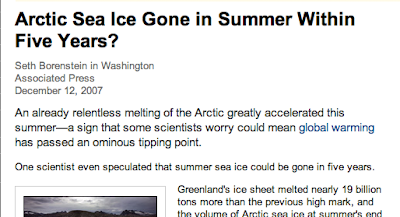 Will the ice increase continue? Who knows? Science is not good at forecasting a year into the future. 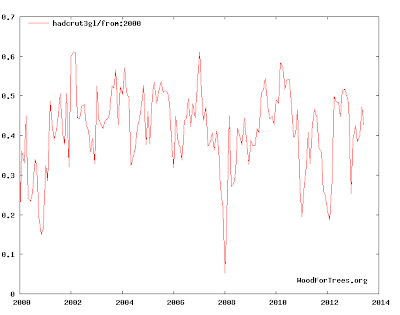 But, this does show that, yet again, another apocalyptic global warming forecast could not have been more wrong. How Do I Sign Up "Mike Smith"? 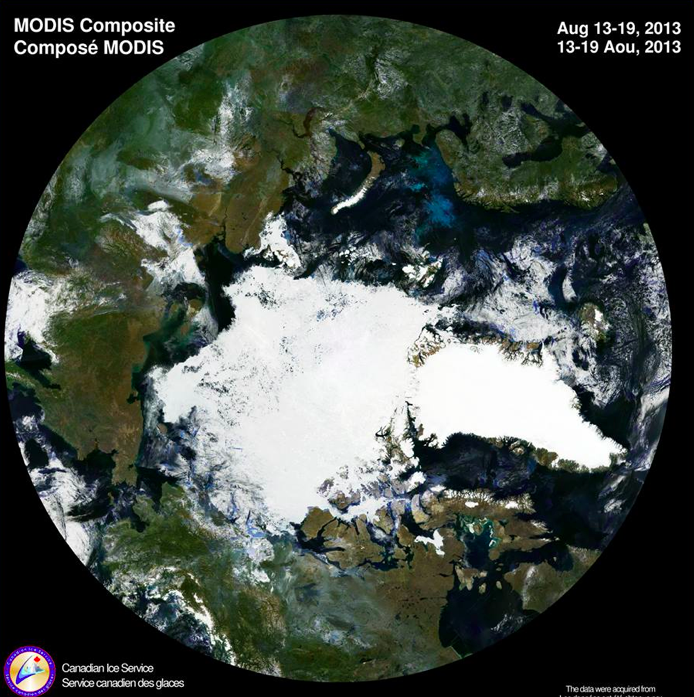 You can always count on the global warming zealots for a laugh. 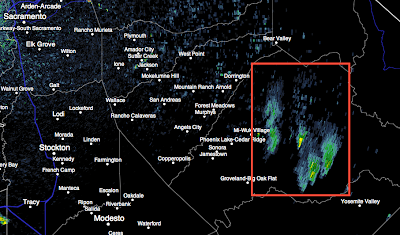 While it is not uncommon for meteorologists to be able to see smoke on radar, this is one of the most impressive examples I have seen considering the distance of the Rim Fire from the radar. The radar is in Sacramento at far upper left. Yosemite Valley is at lower right. 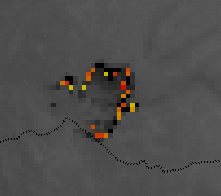 Within the red rectangle are images of the radar's energy being reflected off the smoke and ash in much the same way as it would be with a snowflake or raindrop. The actual flames (not seen) are at the south end of each of the three main plumes. 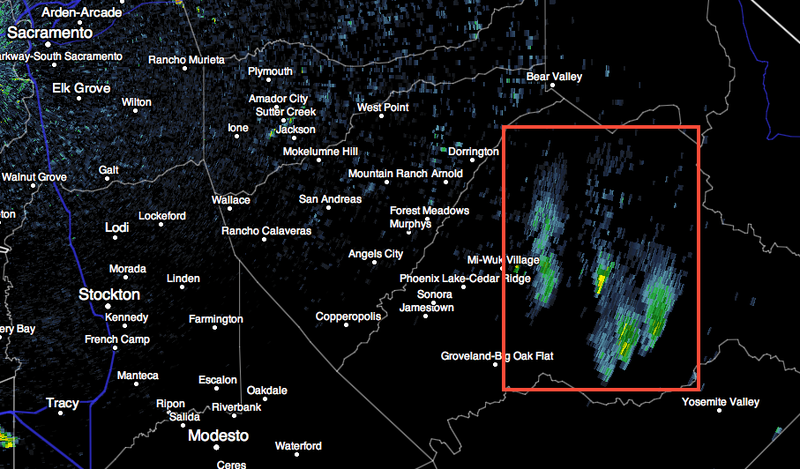 Where you see yellow on radar, the fires are lofting considerable debris. It has burned 230 sq. miles, one of the largest fires in California history. 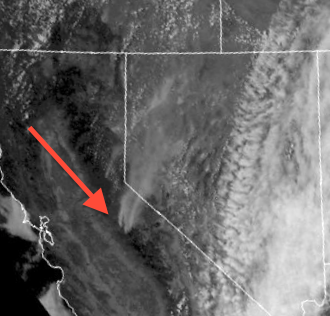 Here is the weather satellite image of the smoke plume at the same time, 2pm PDT. You can see the triple plume structure here, as well. If you are interested in the latest news on the fire, click here. Tomorrow, there will be a teleconference organized by a Big Environment group to tell us about last year's drought and crop losses and -- undoubtedly -- try to tie them to global warming. It is appears to be an example of how Big Environment attempts to manage the news to make global warming seem worse than it actually is. I thought it would be fun to jump the gun a bit so you can see if the news coverage of this event, tomorrow evening and Wednesday, is as predictable as I suspect. Mr. Ben Chou, "policy analyst,"
How can farmers prepare for extreme weather ahead? regional forecasting, which is essential for any plans to adapt to the changing climate, remains a weak spot. 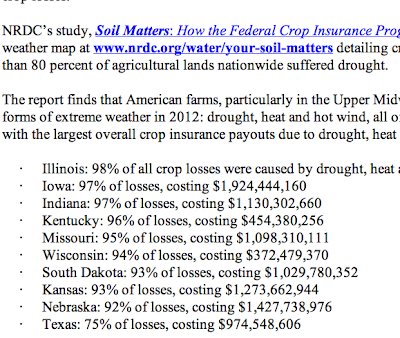 If we can't forecast climate on a regional basis, how can we help farmers prepare? Beats me. 2) Dr. Pielke, do you agree with comments made during the hearing that the weather here in the U.S. has fundamentally changed as is evidenced by an increase in hurricanes, droughts, floods, and tornadoes? Do you agree there is “strong evidence” that extreme weather events in the U.S. have become more frequent and intense? PIELKE REPLY: A range of evidence summarized in my prepared testimonyindicates that, on climate time scales in the US or globally, there has not been an increase in hurricanes, droughts, floods or tornadoes. The evidence for this claim is strong and is well-supported in the peer-reviewed literature, data collected by the U.S. government’s research agencies and the recent report on extreme events by Intergovermental Panel on Climate Change. The United Nations' Intergovernmental Panel on Climate Change report (which I have read) agrees and can be obtained here. While reasonable people may dispute these findings, it appears the entire purpose of tomorrow's exercise is to deliver yet another "sky is falling" message. I suspect the usual suspects in the media will cooperate. Keep you eye on the news tomorrow evening and Wednesday and remember, you heard it here first! 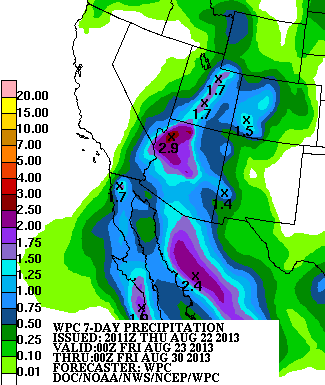 Seven day rainfall forecast: Too much rain continues to fall in the Southwest. 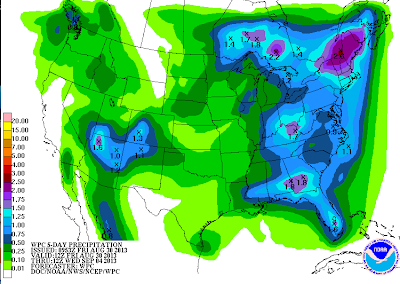 Much-needed rain is forecast for south Texas. Some important information for school officials from Patrick Marsh. 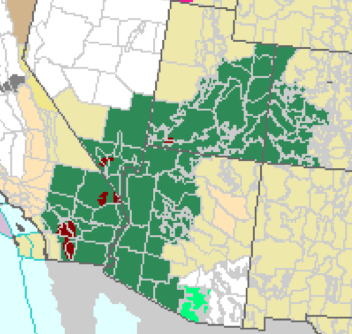 The maroon areas are flash flood warnings and green areas are flood and flash flood watches. AccuWeather is reporting that I-40 and U.S. 95 are both closed due to flooding in the warning areas. Please use extreme caution in these areas this evening. Wait till you learn who got a lower score than Ginger. Looks like the tropics may start heating up this week, so there will be plenty of weather to talk about in the days ahead. Sunday Fun: Sonic, Is There Anything They Can't Do?! As long-time readers know, Sonic is my favorite fast food restaurant. Passengers often comment I have "Sondar" -- the ability to sense the location of a Sonic without actually seeing it. 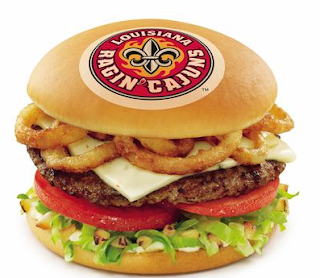 Their latest innovation: Buns customized to your favorite college football team! 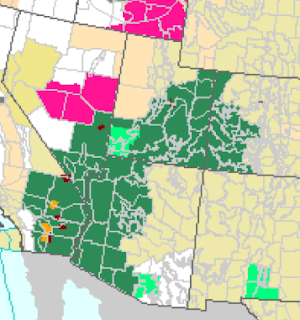 The maroon areas are flash flood warnings. Amber = severe thunderstorm warnings. Pink (ironically) are wild fire danger areas. And greens are various flood advisories. Still more heavy rain expected over the next week. Flash flooding is a major danger. Earlier this week, Al Gore said hurricanes had increased so much that meteorologists were adding a "Category 6" storm to the Safir-Simpson 1-5 hurricane intensity scale. As usual, Al is wrong on every count. No one is considering adding a "6" category. Every single day, we add to the record interval between hurricanes of Cat. 3 intensity or stronger in the United States. We are now at 7 years, 10 months (the last was Wilma in 2005). The previous record was six years -- which occurred more than one hundred years ago. Yet, media all over the world have covered Al's words with only a few correcting the record. Below, I wrote about the nonsense of global warming "tipping points." Gore's latest statement is beyond wrong -- it is deliberately misleading. But, it is what we have come to expect from Mr. Gore. As you view this classic bit from The Simpsons' "Marge versus the Monorail" please substitute "global warming" whenever they sing the word "monorail" and picture Gore doing the singing and dancing. P.S. Let me add there are many sincere people and scientists who believe global warming is a major problem (I believe it is a small problem). Maroon are flash flood warnings. Amber is a severe thunderstorm warning. 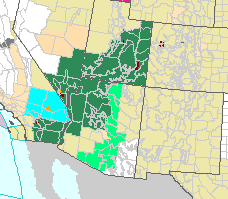 The greens are various flood and flash flood watches. 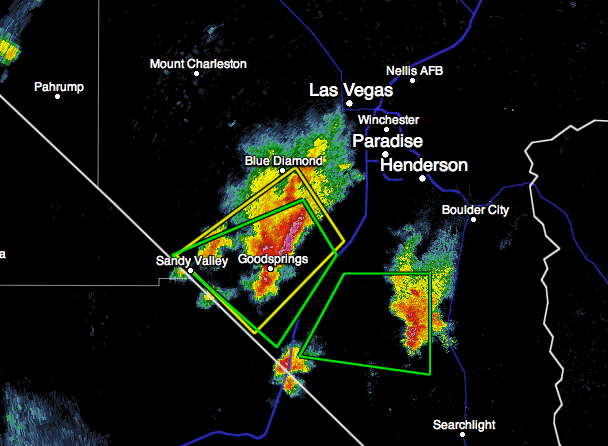 I-15 southwest of Las Vegas is under a flash flood warning right now. 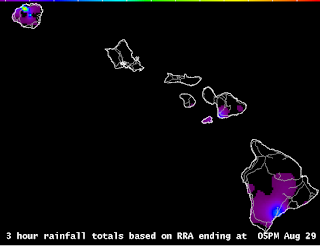 Keep in mind that, in the southwest, the rain does not have to fall on the highway. It can fall over the mountains and flow through normally dry washes and then wash out a road. Over the next few days if you are traveling I-10, I-18, I-40, I-8, I-17 and I-17, please be aware of the potential for flash flooding. Evacuations are occurring of residents and tourists in the area. More details from AccuWeather. Yes, this is Kansas! I was asked why I didn't mention the Gyp Hills in my "three perfect days" feature (see below). I love them, but the "three perfect days" was intended for people who wanted to do a long weekend. They are too far away from the other sites to do in a long weekend. The Gyp Hills take a day by themselves. Learn more about this beautiful area here. From the Hills, you could easily visit Greensburg and Dodge City. 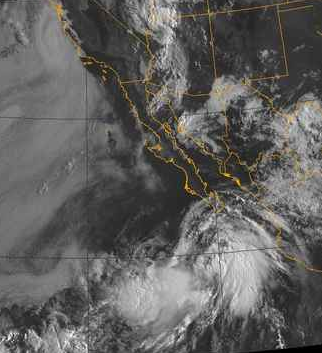 This morning's satellite image shows Ivo near Baja. 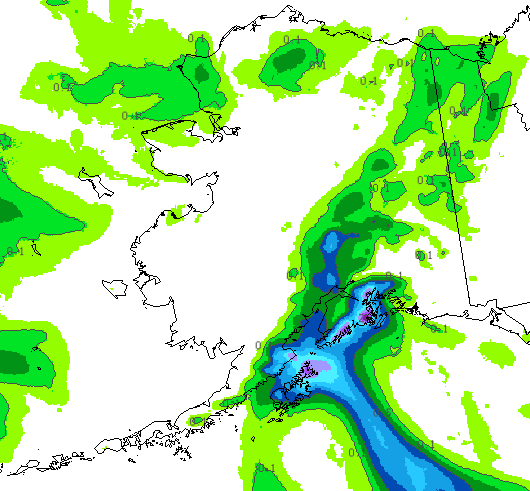 As the storm moves north to NNW, it will bring heavy rains that will likely cause flooding. As far as I know, the earliest reference to global warming "tipping points" was in 1989. I did Google and Bing searches yesterday evening and there are more than one hundred alleged tipping points over the last 20 years. See any accelerating upward trend since January, 2008? Plus, there is no upward temperature trend (actually, it is downward) since we passed 400 ppm in CO2 concentration in the atmosphere. 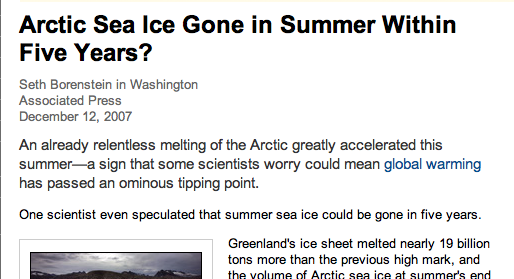 It, too, was supposed to produce an acceleration in the rate of warming. By any definition of the scientific method of advancing a hypothesis (i.e., a given tipping point exists) and measuring the results (lack of the predicted acceleration of warming) the tipping point hypothesis is falsified. 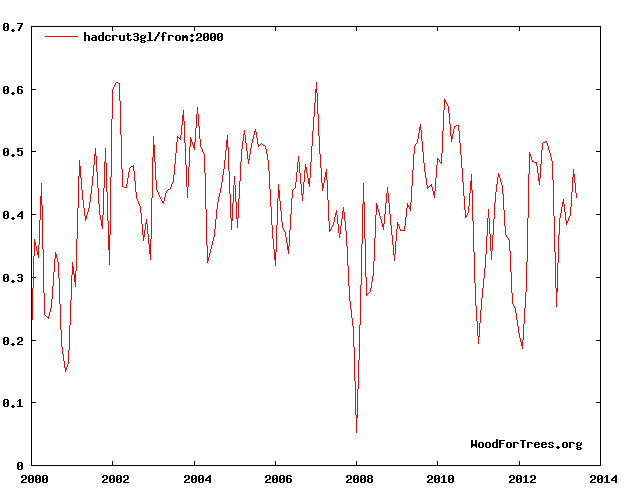 Global warming, more and more, has become a matter of 'faith,' not science. "I may frequently be wrong, but am never in doubt." 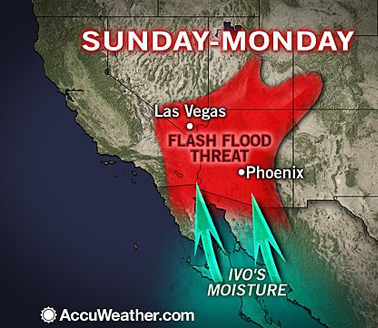 If you are planning a pre-Labor Day trip to the Southwest, keep a weather eye out for the possibility of flash floods. Here is the 7-day rainfall forecast. 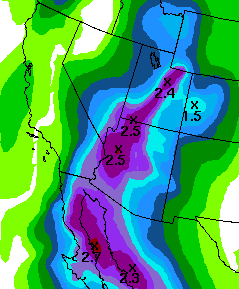 If 2.9 inches doesn't seem like a lot to you, it is plenty to cause problems in the dessert regions of the nation. 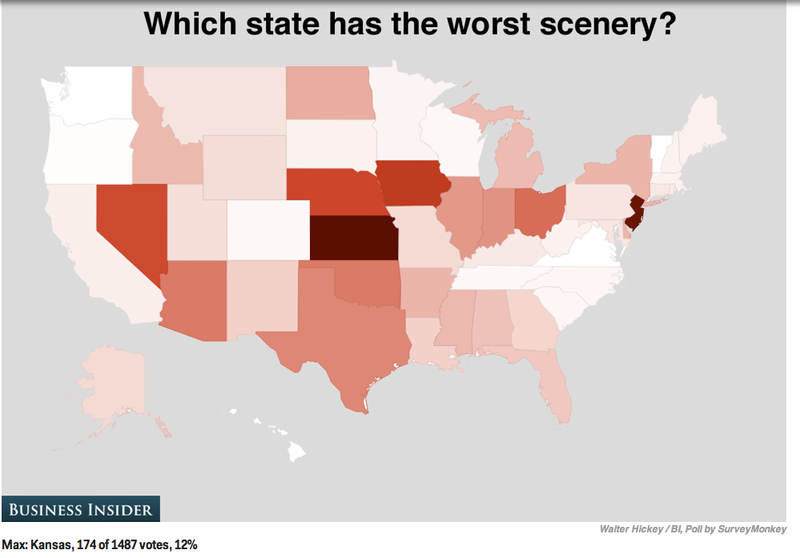 Kansas: Least Scenic State? No! Since the weather across the USA is rather dull, let's talk about an item in the news. You've probably seen this all over the internet. I-70, west of Salina, is not scenic. That is the most traveled road in the state. Kansas is deliberately portrayed as not scenic in the media. 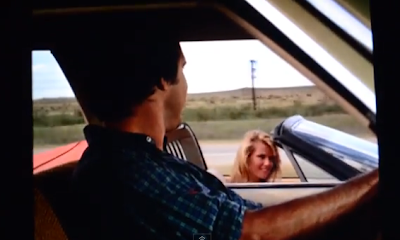 To take one popular movie example: This scene from National Lampoon's Vacation that is supposed to be in Kansas. Where was it really filmed? Colorado! 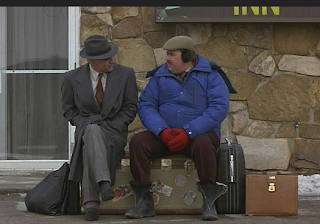 Or, take Trains, Planes and Automobiles. The ugly 'Wichita' scenes. Where were they filmed? Illinois! Director John Hughes sent people to scout locations in the real Wichita but found the city was much more attractive than they imagined, so they filmed the 'Wichita' scenes elsewhere. The 1999 movie The Big Kahuna starring Danny DeVito and Kevin Spacey is supposed to take place entirely in Wichita at a hotel immediately adjacent to the convention center. In the movie, it looks old and dingy. Here is what the real hotel, the Hyatt Regency Wichita (next to the Century II Convention Center), actually looks like. 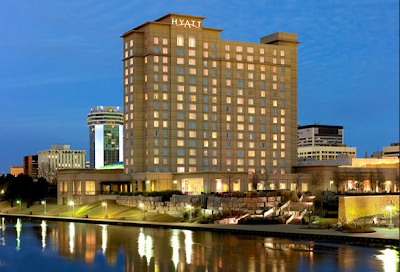 Just 24 hours earlier, they spent the night in what Oprah called a "grungy, moldy, stinky motel," so when she and Gayle pulled into Wichita's Hyatt Regency Hotel, the weary travelers could barely contain their excitement. "I wanted to hug the bellman, but when I went to hug him, he looked afraid," Gayle says. Oprah even broke out into the "happy hotel dance" in the lobby! "After our experience in the motel the night before, that Hyatt was a welcome oasis," Oprah says. "What a difference a day makes!" The ladies left their pillows and blankets in the car and bedded down for the night in beautiful suites. 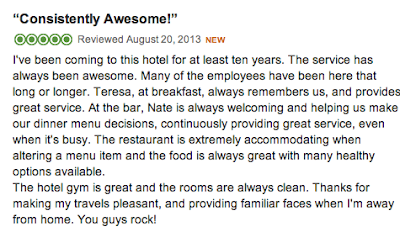 We also have excellent an excellent full-service Marriott, the Broadview, and, across the street from our AccuWeather offices, The Ambassador along with hundreds of others. Just yesterday, we hosted an AccuWeather guest with an interest in aviation at our offices in downtown Wichita. He was so excited when he learned about the Kansas Cosmosphere, Kansas Aviation Museum and our other attractions, we were already planning visits when he is back in town in a couple of months. I could go on and on but you get the idea. Kansas, as one national travel writer commented, is a "much, and unfairly, maligned state." 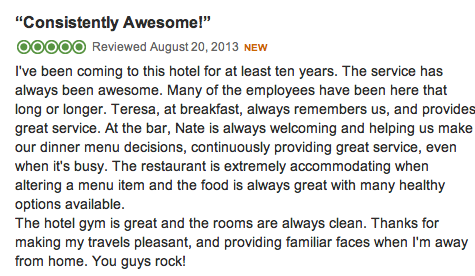 You'll find my insiders' guide to having a terrific time. If you have any questions, just post them in the comments below. P.S. I look forward to visiting Idaho and Montana in the next few months, the only two states I have not visited. We currently stand at 716 (preliminary). Full details from AccuWeather. Full, and fascinating, story here. A reader asked me to clarify, Sgt. Sanford is enlisted with the U.S. Air Force and works with all branches of the service. The Army mission was of special interest to me, thus the title of this posting. Via both Twitter and email, I have been asked to comment about two separate siren controversies, one involving sirens being sounded and the second involving sirens not being sounded. Because there are multiple issues involving politics and personnel, I don't feel comfortable specifically commenting on either controversy. Sirens are an important part of the warning system. Less-than-optimal siren procedures were a factor in the extremely high loss of life in Joplin. So, please allow me to offer general some thoughts to communities struggling with siren procedures. Sirens should be considered outdoor warning systems (only). Sirens should be sounded for tornado warnings. I am opposed to sirens being sounded for severe thunderstorm warnings with one possible exception and that is when the winds are explicitly forecast to exceed 85 mph (equivalent to lower EF-1 tornado intensity). Sirens in tsunami and flash flood areas are appropriate but should be used with care (we don't want people headed for the basement when floods are approaching). Sirens should never be used for "all-clear" purposes. More confusion potential. Sirens should only be sounded in the area actually threatened! Sounding them over entire counties when a fraction of the county is threatened creates "siren fatigue" which, over time, also threatens lives. Whatever policy you adopt, it must be well-publicized so citizens know what to respect and how to respond. Do not deviate from the policy ("we'll sound them for a severe thunderstorm just this one time") or you just create confusion. Social science clearly shows that confusion is the enemy of effective action in dangerous situations. 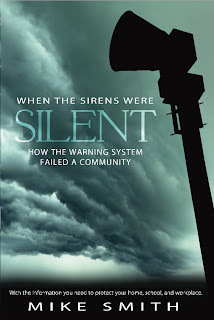 There is a lot of information about sirens and the Joplin tornado in my book, When the Sirens Were Silent. It is sold out of the paper version but is available in ebook form here. The price is $2.99 for the ebook. We are at the statistical height of hurricane season and all is clear at the moment...and, will likely remain clear (in terms of hurricanes) for at least another five days. Can Extreme Weather Be Avoided? We're Number Two; We're Number Two! Want a Perfect Day Late in the Summer? New 5-Star Review of "Sirens"
Superb Open Letter to New Editor of "Science"
This is What We Like to See in August!